Head over to the signup page on my.typo3.org and fill out the form. Pick a username you like. 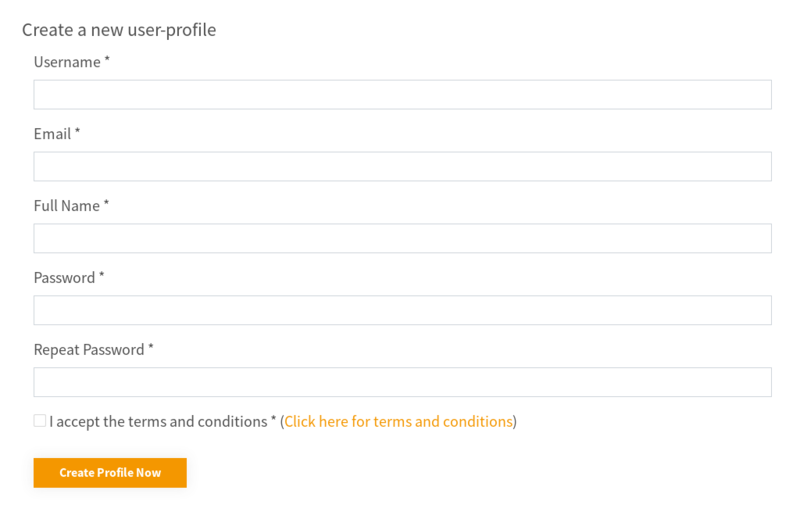 The form will directly tell you whether it's available or not. To save yourself from annoying problems later on down the road, to not use special characters like @ or ! in your username. Just use alphanumeric characters. Your email address should be the one you want to be using for notification emails from Forge and Gerrit. Also think twice whether your company email is appropriate here. Please use your real name here. It isn't really fun discussing with l33troXXor92. Choose a strong password here. Ideally, use a password manager to create a really strong password. Enter your (really strong) password here. Once you have registered you will receive an email from the system to verify your account - basic stuff.